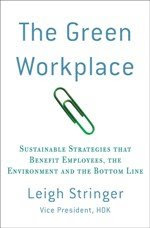 The Green Workplace: affordable green shoes - heaven! affordable green shoes - heaven! 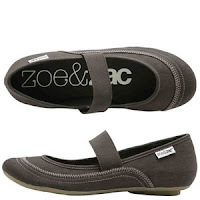 Payless (my guilty pleasure) has made good on a promise to develop a line of affordable green shoes called zoe&zac. I love Payless because they are really good at delivering stylish and comfortable shoes in the $20-25 price range. But I have always felt guilty about buying shoes that I suspected were made with materials I wouldn't normally agree to put on my body and that might end up in a landfill. I also worry about what kind of working conditions make these shoes so affordable (I am an incredibly suspicious person!). Well, at least they have addressed the material aspects. 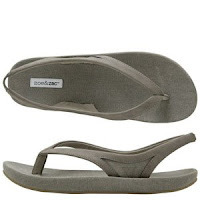 Payless has developed a casual line of shoes that incorporate organic cotton and linen, recycled rubber, hemp, water based glues, etc. And in addition, Payless has partnered with The Nature Conservancy to plant a billion trees. Payless will give $1 from the sale of every zoe&zac purchase and $1 from the sale of every reusable bag (sold for $1.99) to The Nature Conservancy for the tree planting effort. Energy Demand Response... Taking Hold? If He Can Do It, So Can You!